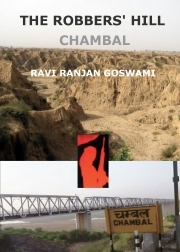 Description of "The Robbers' Hill, Chambal"
This novella is entirely a work of fiction. The names, characters, organizations and incidents portrayed in it are the work of the author's imagination. This has been translated from Hindi -"Luteron ka teela" by the author. This is a story of the survival of human values and love in the most dreaded terrains along the river Chambal of India. Author is a science graduate,working with a law enforcement agency.He is from Jhansi and lives in Kochi,India. Reviews of "The Robbers' Hill, Chambal"
No Reviews Yet! Write the first one! Please register or login to write a review. Payment options available are Credit Card, Indian Debit Card, Indian Internet Banking, Electronic Transfer to Bank Account, Check/Demand Draft. The details are available here.